As I have mentioned previously, the perfect pint is best appreciated in the perfect pub. In fact, take away the pub and you are simply left with a beer in a glass. Pretty much nobody drinks a pint at home. A bottle, a can, 500 ml, or some other metrification. A pint? Rarely. 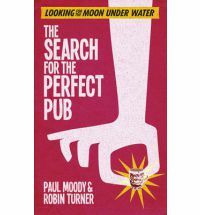 So, I would like to publicize the perfect book to read when you cannot get a pint; which is to say, at home.